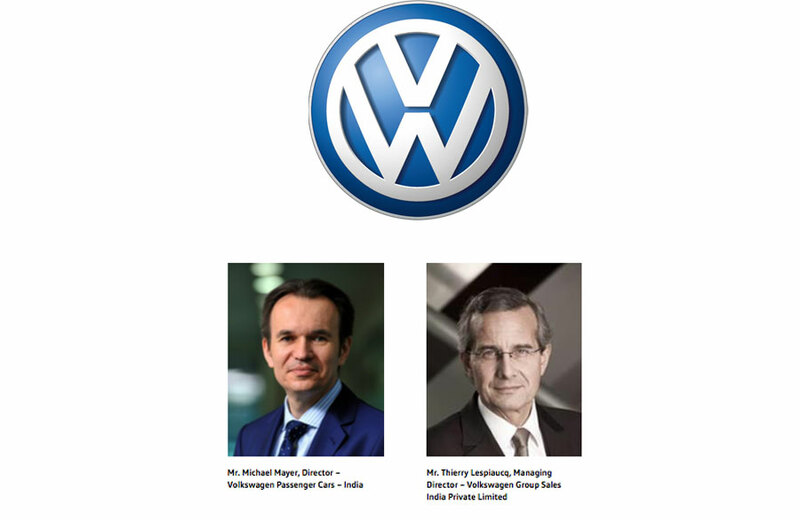 Mr. Michael Mayer is completing his assignment as Director, Volkswagen Passenger Cars – India and will take up the role of ‘Head of Sales and Marketing’ for Volkswagen Passenger Cars – China; reporting in to the CEO of Volkswagen brand in China. Mr. Thierry Lespiaucq, Managing Director – Volkswagen Group Sales India Private Limited, will take charge of Volkswagen Passenger Cars in India until further notice. Mr. Mayer will be transitioning into his new role in China starting April 2017, post completion of his current assignment in India. Under Mr. Mayer’s leadership since June 2014, Volkswagen Passenger Cars in India prepared and implemented substantial expansion of its product portfolio with the launch of Beetle in 2015, followed by Ameo and GTI in 2016, and Tiguan and Passat, which have been planned for 2017. He also spearheaded the SARVOTTAM initiative, a bouquet of multiple initiatives focused at enhancing the quality and efficiency of Volkswagen customers’ experience in India. Mr. Mayer’s passion and enthusiasm for the brand is something that will always be remembered. While Mr. Mayer’s able leadership and commitment in strengthening the Volkswagen brand in India will certainly be missed, we would like to wish him loads of success in his new role in China, which is the largest single market globally for Volkswagen.